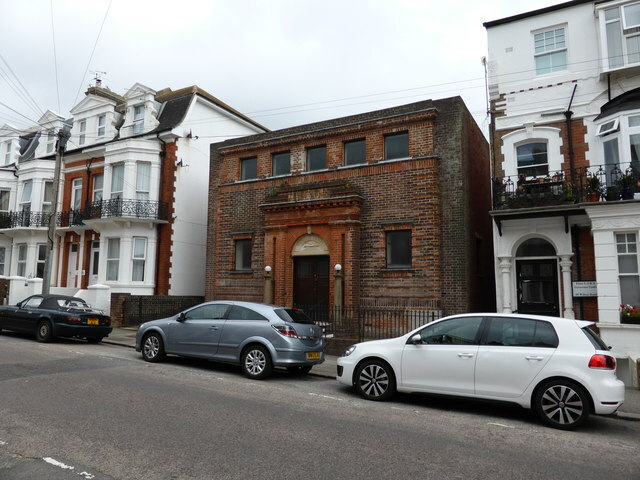 A Masonic Lodge, often termed a Private Lodge or Constituent Lodge, is the basic organisational unit of Freemasonry. Every new Lodge must be warranted or chartered by a Grand Lodge, but is subject to its direction only in enforcing the published Constitution of the jurisdiction. A Freemason is generally entitled to visit any Lodge, in any jurisdiction (i.e. under any Grand Lodge). Freemasons gather together as a Lodge not in a lodge, the buildings are Masonic Halls or Centres. The building to the right is the former Devonshire Hotel, which was converted to flats in the late 1980s. The former public bar of the hotel forms the ground floor and is now known as the Devonshire Arms.